Day One of Chick Hatch 2012! 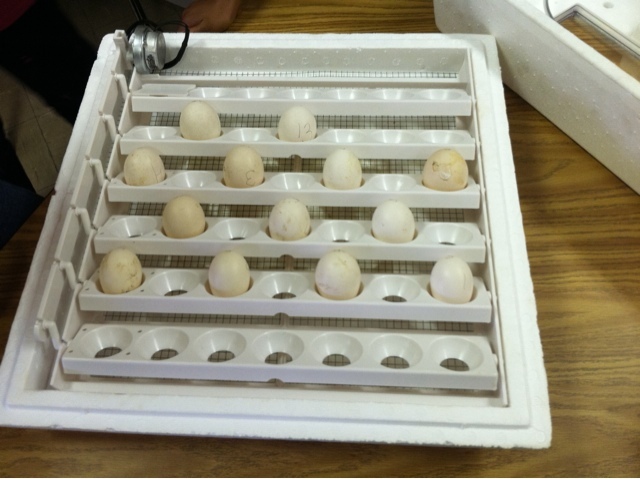 We are underway with our hatching project. 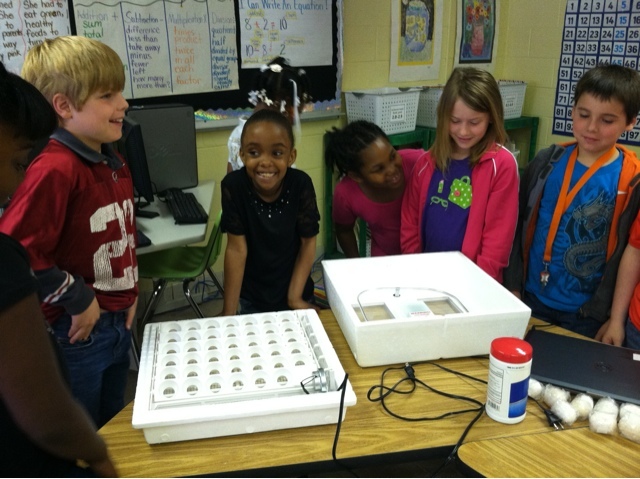 You will be able to watch the hatch live on ustream. The camera will be set up by the end of the week. This is a picture of us setting up the incubator. This is a picture of how the eggs came shipped to us. 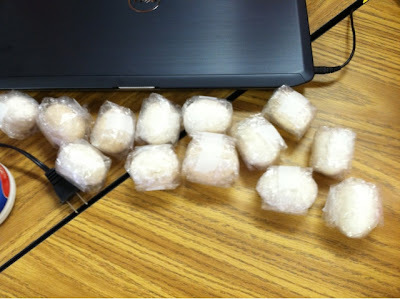 They were wrapped in bubble wrap to keep them from breaking. 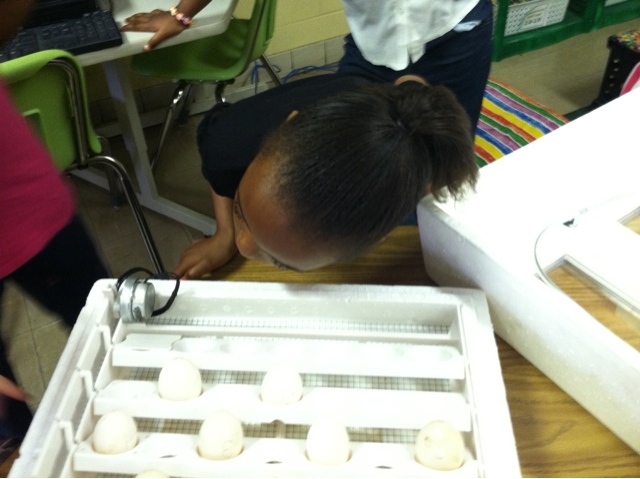 Jazmine listens to see if she can hear the egg turner moving. It is really quiet because it turns really slowly.